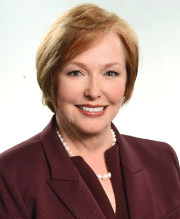 Brenda Fitzgerald, MD, a graduate of Emory University School of Medicine as well as its residency training program, has been appointed new director of the Centers for Disease Control and Prevention (CDC). The announcement was made on Friday, July 7 by U.S. Department of Health and Human Services Secretary Tom Price. A board-certified obstetrician-gynecologist and practicing physician for 30 years, Fitzgerald received her medical degree at Emory, completed post-graduate training through Emory School of Medicine's obstetrics-gynecology residency training program, and was an Emory assistant clinical professor. She currently is an adjunct professor at Emory's Rollins School of Public Health. As the first commissioner of public health in the history of the State of Georgia, Fitzgerald also serves as State Health Director, which includes the oversight of Georgia's 18 public health districts and 159 county health departments. "Dr. Fitzgerald has been an excellent leader and advocate for public health in Georgia, as well as an invaluable partner to the Rollins School of Public Health," says James W. Curran, MD, James W. Curran Dean of Public Health at the Rollins School of Public Health. "Having worked with her for several years on the Board of the Georgia Department of Public Health, I've witnessed her great respect for science and research. I'm optimistic that Dr. Fitzgerald's broad expertise will make her a successful CDC director." Fitzgerald has held numerous leadership positions including president of the Georgia OB-GYN Society, health care policy advisor and senior fellow, and Chairman of the Board for the Georgia Public Policy Foundation. She is also president-elect of the Association of State and Territorial Health Officials. "We are very proud to have an Emory School of Medicine graduate as the new CDC director," says David S. Stephens, MD, interim dean, Emory University School of Medicine. "Dr. Fitzgerald was an outstanding colleague as Emory, CDC, and the State of Georgia responded to the threat of Ebola virus disease in 2014 and as we continue to respond to other infectious disease threats, such as Zika. I look forward to continuing Emory's strong collaboration with CDC." As a Major in the U.S. Air Force, Fitzgerald served at the Wurtsmith Air Force Strategic Air Command (SAC) Base in Michigan and at the Andrews Air Force Base in Washington, D.C.